As a teacher, I am aware that teaching profession is not the easiest. Although working with children might be delineated as funny and amusing, sometimes it might have its difficulties as well. However, if teacher and student understand each other, the process is likely to be successful. In her TED Talks speech, educator Rita Pierson, who has worked in this field for more than 40 years, raises the issue of the relationship between teachers and students. She uses expressions of famous Americans and shares her personal experience in order to explicate the importance of the relationship to be successful in teaching and learning. In the beginning, the speaker provides examples from the words of James Comer that states “no significant learning can occur without a significant relationship” and George Washington Carver’s opinion, which is “all learning is an understanding relationship” in order to underpin her claim. Personally, I found these statements pertinent, since they highlight the significance of relationship in a learning process. What I like the most from her speaking are the words “kids don’t learn from people they don’t like”, which she said to her colleague, who considers she doesn’t have to like children. I think I like it because I have had such situation in my personal experience. As a schoolgirl, I didn’t use to like Physics and didn’t have that passion to study it as had it for the Chemistry. After watching Rita Pierson’s video, I understood that the matter was in my Physics teacher. She was too critical and sometimes rude. On the contrary, the teacher of Chemistry was friendly and tried to build a relationship, which made me be interested in her class. That is why I can state that I completely agree with the speaker that relationship is far more important than it seems. The statement she said to her colleague might seem as an assumption, but not for me, since I have encountered the same situation myself. Moreover, the speaker espouses the Stephen Covey’s idea, which states that simple things are also important in building a relationship. She doesn’t just emphasize this idea is right, she also practices it in her own experience. It can be seen from the example when she apologized for her wrong teaching to students. As a result, students didn’t judge their teacher, but they just were sympathetic in relation to her. Here we can see that simple thing like apologizing plays a significant role in creating the relationship between students and their teacher. Building a relationship is also beneficial in teaching students who are academically deficient. Teachers can motivate their students to study not by telling them off for their bad results or marks, but by encouraging them for their minute success. It is also one of the situations that Rita Pierson has had in her experience and considers to be advantageous. I agree with the speaker that it isn’t possible to like all your students, but teachers are just actors and actresses and they establish a relationship in order to direct them to the right way. 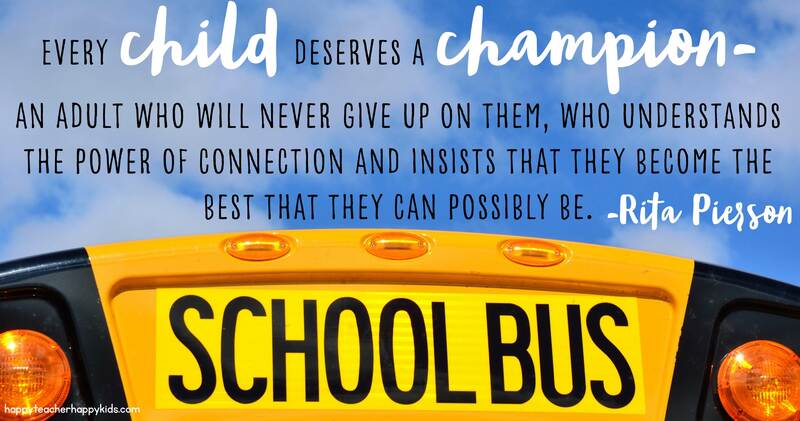 So, they become a champion to their students, who will always support them. I was impressed by the speech of Rita, since it was compelling. I consider it is because almost all examples are from her personal experience. I highly appreciate her passion for what she is doing. It is not just teaching, it is also having a valuable human connection, which is the relationship. When I was a teenager, I used to go to school in the morning. At that time, it was really hard for me to get up early. Now I can see that my brother, who is a teenager, has the same problem. I am sure not only we suffer from sleep deprivation. According to sleep researcher Wendy Troxel, sleep torturing is an epidemic among teenagers in the USA as well. What might be a reason for that? In her TEDx talks speech, Professor Troxel explicates reasons for this issue and consequences it might have. Moreover, she espouses the idea of “later start time of schools for teens”, delineating the threats of getting up early and benefits of having enough sleep for teens. Among various factors that contribute the sleep deprivation of teenagers, Wendy Troxel emphasizes public policy as the main one, since most schools in the USA start at around 7.30 a.m., thus, making teens awake far earlier. The consequence of it is not always positive. According to Professor, from the biological perspective, waking up teens at 6 a.m. equals waking up adults at 4 a.m. How do you feel at that time? Speaker states that she feels like a “zombie”. So, do I. Here is an example. The train from my hometown to Astana arrives at 4.30 a.m., and you have to get up at about 4 a.m., respectively. My state then is not the best. However, I have an opportunity to get enough sleep after getting to the dormitory. But what about teens, who have to go to school and gain knowledge as well? How can we ascribe them as lazy, irritable, depressive after that? Professor Troxel points out that these egregious characteristics are the aftermath of sleep loss. I completely espouse her opinion, because usually teens are more considered to have those outrageous personalities rather than children or adults. As speaker mentions, unpleasant characteristics are not the only issue: sleep deprivation might be an impetus for mental and physical health problems as well. She represents the result of her team’s study in LA Unified School District. Chances are that 55 percent of teens with sleep loss issue used alcohol last month. Furthermore, another research with more than 30 000 students reveals that for each hour of sleep lost there was an aggravation in their feeling for 38 percent, and the suicide endeavours accrued for 58 percent. There are still health problems such as obesity, heart disease, and diabetes. And this is not the full list. 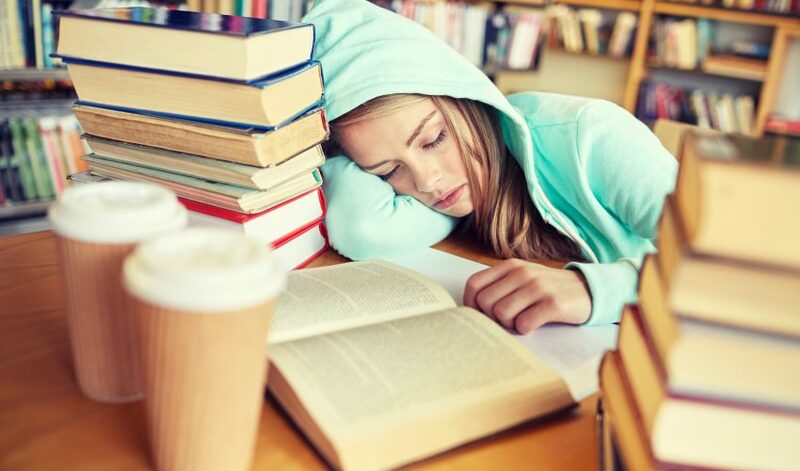 However, from these studies it is already obvious that sleep deprivation impinges on the personality and health of teens, so we do not have to ignore the issue. No parents want their children to be mentally or physically ill.
Now about the lucrative side of the later start time of schools. Indicating the study results Troxel explicates that there are plentiful benefits: less dropout and better academic performance, also mental and physical health of teens ameliorates. I cannot argue with her, as I am in the same stance. When you get enough sleep, you are in a good mood, consequently, you might succeed in everything you are involved in. Speaker admits that there might emerge contradiction from some sceptics that there is no necessity to make schools later for teens, since teens need to toughen up, so they are ready for the real world. Personally, I cannot agree with this viewpoint. How can they be ready for so-called “real world”, if they have all already mentioned mental and health problems? I was impressed by Wendy Troxel’s speech, since being a teenager I encountered this problem myself. Moreover, it was compelling due to the real facts from studies she conducted. We do not just want children to be healthy and successful, we have to underpin any idea that might be effective in achieving that goal. So, the first one, I guess, is to make schools start later. Why do people choose private supplementary tutoring? Notwithstanding that I worked three years as a teacher at a private English school, I have just discovered that academically we should call this sphere as “private supplementary tutoring”. After I had explored different materials on this topic, I came to the inference that I had better share it with others. Although private tutoring takes place in almost all academic subjects, I will mostly focus on English because of my work experience. It was Mark Bray who pinpointed this kind of tutoring and investigated it extensively. What is private supplementary tutoring? Private supplementary tutoring is delineated as a tutoring provided on an additional basis, and it is a part of shadow education system (Bray, 1999). The reasons why this tutoring is called shadow are that its existence depends on the existence of the mainstream education system; if changes take place in the mainstream system, so do in shadow education; and public’s attention is mostly focused on mainstream than shadow (Bray & Seng, 2005). Questions such as “Why do people should hire private educators?”, “How necessary is it?” or “Why do teacher go for teaching in private schools, not in mainstream ones?” might emerge. The reason for private tutoring might be the poor quality of mainstream education, however, it is not the only one explanation. There are several reasons why teachers or students take private tutoring. For one thing, it forms subsistence of the tutors, who might be mainstream teachers who would like to make extra income, students, former teachers who are retired, etc. Furthermore, as a former teacher, I can state that it is easier to get a job in private schools than in state ones, which requires at least three years of work experience. Also, it is a good opportunity for students with high academic achievement, as they can teach their contemporaries who have challenges in a subject (Camenson, 2001). So, private tutoring can be a well-paid part-time job. There are various reasons as well why schoolchildren opt to visit private courses. Usually, parents who are concerned about their children’s academic achievements decide to hire a private tutor. There might be cases when children wish to attend courses only because their fellows do that (Silova, Budiene & Bray, 2006). In my work experience, I met a lot of people who attended private courses because of the poor quality of teaching at a school, and because they would like to have a better understanding of the school topic privately, not in a class where there are 20-25 students. Have you ever been taught by or worked as a private instructor? What was the reason for that? Bray, M. (1999). The Shadow Education System: Private Tutoring and its Implications for Planners.Paris: UNESCO International Institute for Educational Planning. Bray, M., Seng, B. (2005). Balancing the Books: Household Financing of Basic Education in Cambodia. Hong Kong: Comparative Education Research Centre, The University of Hong Kong, and Washington DC. Silova, I., Budiene, V., & Bray, M. (2006). Education in a hidden marketplace: monitoring of private tutoring: overview and country reports: Azerbaijan, Bosnia and Herzegovina, Croatia, Georgia, Lithuania, Mongolia, Poland, Slovakia, Ukraine: education support program of the Open Society Institute Network of Education Policy Centers. New York: Open Society Institute. Camenson, B. (2001). Careers in Foreign Languages. Blacklick, OH, USA: McGraw-Hill Trade. What’s the purpose to delay for tomorrow if there is a day after tomorrow? While getting acquainted with the website https://nuwritersguild.wordpress.com, I have noticed that the topic of procrastination in academic settings is the most disputable ones. The reason for it might be apparent, as “putting off until tomorrow what should be done today” is a widespread action among students. Moreover, it might have negative consequences, which most students are familiar with, such as sleepless nights, heightened stress, drop in grades, and even course withdrawal. As one of the procrastinators who aims at overcoming this negative quality, I searched for some recommendations and decided to share with those dilly-dalliers as I am. The term “procrastinate” means put off, delay, prolong or postpone performing a task. It refers to performing an alternative activity to the one which is must do (Schouwenburg, 2004). That means you are not sluggish, which is already advantageous in dealing with procrastination. So, let’s start to get acquainted with some research-based strategies! Do something – anything – to get started (Bailey et al., 2017). This one I have found the most important for the reason that even we move only one step forward, we will have an impetus and it might aid our mood advance dramatically (Bradberry, 2016). Disconnect (Bailey et al., 2017). This suggestion is of no less importance, as all of us are addicted to our gadgets, and they are the main reason for distraction. Don’t be a perfectionist. It is, undoubtedly, perfect to perform all tasks perfectly, however, perfectionism might have some negative effects in academic settings. Perfect ideas need time to come, so we have to get started with good ones, thus providing them time to evolve to perfect (Bradberry, 2016). As Jodi Picoult states, “You can edit a bad page, but you can’t edit a blank page” (in Bradberry, 2016). Work in the right environment strategy mostly fits those who had better work in silence and without any distraction. It might not work for everyone, but I know some people who will definitely find this suggestion handy. Focus on results. Even it makes us afraid to get started we should always think of effects of that work. It is significant just to remember about a pleasant feeling of relief after the task is done or an unpleasant one after it is failed. In a nutshell, in order not to be a procrastinator, we should find comfortable environment, detach all electronic devices and start performing the task taking into consideration only on results and without waiting for perfect ideas. Schouwenburg, H. C. (2004). Trait procrastination in academic settings: An overview of students who engage in task delays. In H.C. Schouwenburg, C. Lay, T. Pylchyl, & J. Ferrari, (Eds. ), Counselling the procrastinator in academic settings (pp. 3-18). Washington: American Psychological Association. Speak Kazakh to Kazakh… or how to make the acquisition planning of Kazakh language effective? “Speak Kazakh to Kazakh” is a quotation from the President Nursultan Nazarbayev’s speech, which was offered as one of the ways to develop the Kazakh language. Why did these words become so popular? It is because of Kazakh population who speak Russian instead of their native language. The dominance of Russian is a consequence of being colonized by Russian Empire. But 26 years have passed since Kazakhstan gained independence. Have any attempts been done to develop the Kazakh language as a native? If yes, why have not they been successful? What should be done to increase the number of Kazakh language speakers so that every Kazakh speaks his or her native language? A lot of attention have been paid to “acquisition planning” (Cooper, 1989) of Kazakh language since the country became independent. Particularly, it can be seen in the sphere of education. The number of schools with Kazakh medium of instruction has increased; the Kazakh language has become an obligatory subject in all schools (Smagulova, 2016). Also, in the frame of trilingual policy Kazakh is supported as a native language. However, it was not productive enough to increase the number of Kazakh speakers, as this was an opportunity only for schoolchildren. As a consequence, private language centres started teaching a native language to the people of all ages. In some workplaces classes of Kazakh language are organized for workers. Moreover, people can practice a native language for free at the language centre “Tildaryn” (NUGSE, 2014). Notwithstanding all these efforts, Russian is a dominant language, and it is still spoken everywhere. That makes the issue of acquisition planning of Kazakh language troublesome for policymakers to deal with. Here come the questions: what if the President’s suggestion will be more effective? Why not speak Kazakh to Kazakh, and start to promote the native language ourselves? What do you think will be the most efficient way to expand the number of Kazakh language speakers? Nazarbayev University Graduate School of Education (2014). Development of Strategic Directions for Education Reforms in Kazakhstan for 2015-2020, Diagnostic report. Astana: Indigo print. Smagulova, J. (2016). The re-acquisition of Kazakh in Kazakhstan: Achievements and challenges. In Ahn, E.S. & J. Smagulova (Eds. ), Language change in Central Asia (89-107). Boston/ Berlin: De Gruyter.